Information technology is all about the processes on data and it is directly connected to the communication processes. By Definition, Information technology is to apply computer and telecom equipment for the purpose to store, retrieve, transmit and manipulate the data. So, according to the definition, we can conclude that information technology (IT) is the key to the whole knowledge that we have today. In earlier days, information technology was considered as it is only the part of the computation. 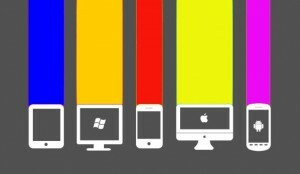 As the research grew, we came to know that information technology is the mixture of computer and telecommunication equipment usage. A Computer is to speed up the calculation and process so that we can save our times. Communication is to send that computed data from one source to another. Information technology is the field that provides assistance for the purpose to solve practical problems using modern technologies. 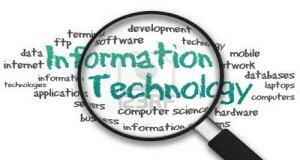 Information technology is the knowledge to operate, maintain and monitor modern technology. Computer science is the knowledge to make that modern technology work, by implementing different kind of algorithms. When we say information technology, we mean that we are talking about more than one person. In information technology, a guy interacts with others to perform the task or to help others by technical support. In computer science, one guy does the job all alone and mostly no interaction with others. The point here is not to underestimate computer science or information technology. The point is to help clearing the concept of the difference between these two subjects. 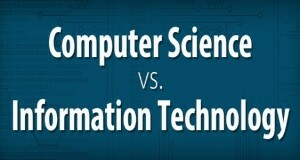 How is information technology being used in different fields? Education: In education, information technology is performing a major rule. There are a lot of course management software like MS Power Point, WebCT, Blackboard etc. Distance learning or e-learning is another great example of Information technology in education that is giving knowledge to more than 3.5 million online students and this figure is growing at 20% a year. Health: Telemedicine is a great example of Information technology in the field of health. 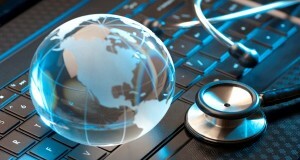 Telemedicine means “Medical care delivered via telecommunications”. In the same way, information technology is improving medical tools. A doctor can now have a digital format of medical information of X-rays, pulse monitor, lab tests etc. Image transfer technology is very helpful in transmitting radiologic images like MRIs and CT scans to physicians. Money: In this field, information technology is helping a way more than any field. The concept is that our money transfers virtually to our bank or to our electronic wallets (such as PayPal). Paychecks of almost half of the employee transfers to their banks electrically. When we buy a product of a company from internet, we electronically transfer our money to their bank or to their electronic wallet. 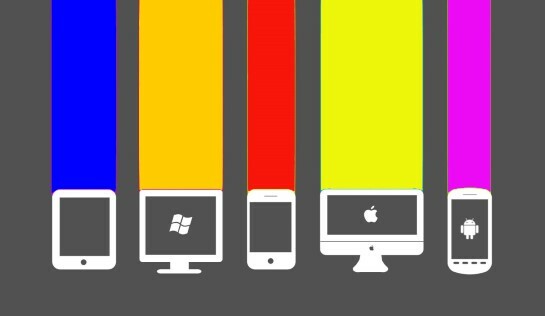 These all are the best examples of information technology in the field of money. There are many other fields influenced by information technology like Entertainment, Government, Law, democracy, jobs, etc. So the InfoTech is helping the world to be the better and fast place to live in.